SEE. 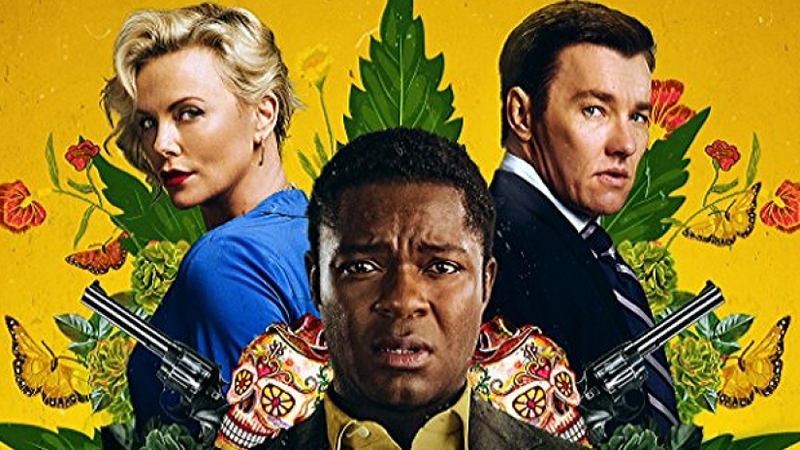 Gringo stars David Oyelowo, Joel Edgerton and Charlize Theron. David (Harold) plays as an unappreciated, mild-mannered, soft-spoken middle manager for a small-time pharmaceutical company run by a college friend and bad boy Richard (Edgerton). Harold joins his managers on a business trip to Mexico. Richard and fellow supervisor Elaine (Theron) are the sketchy managers. When not doing business these two can be found behaving in ways that would give HR a heart attack. The humor is broad, at times offensive and physical. The point of the trip is to undo an unscrupulous relationship with a drug dealer who Elaine and Richard had used to support their business when times were a little leaner. Now in order to sell their company, the company must appear to have an impeccable reputation. The plan unravels when the drug dealer refuses to accommodate their requests. At the same time, poor Harold discovers that his job is in jeopardy with this impending sale – and that his wife is leaving him. What ensues next is a series of decisions that lead to a fake kidnapping, mistaken identity, and Harold’s good nature taking an interesting turn. 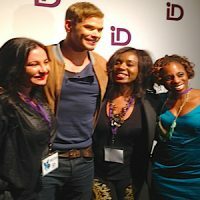 Such a fun ride these talented actors take us through! Gringo is nationwide today. SEE TOO. Disney, Oprah Winfrey and Ava DuVernay have partnered to bring A Wrinkle In Time, the epic adventure based on Madeleine L’Engle’s timeless classic, to the screen. Reimagined by the Oscar-nominated director, the film takes one young girl across dimensions of time and space, examining the nature of darkness versus light and, ultimately, the triumph of love. Of course, the film serves up a diverse cast with Oprah Winfrey, Mindy Kaling, Gugu Mbatha-Raw, Michael Peňa, Storm Reid, Levi Miller and Deric McCabe, with Zach Galifianakis, Reese Witherspoon and Chris Pine. In theaters today. WATCH. Back in 2006, O.J. Simpson gave a never-before-seen interview to Judith Regan. Now the parolee’s back – sharing his side of the story, with his own words from 12 years ago. This is gonna be explosive, for sure. O.J. Simpson: The Lost Confession? airs Sunday, March 11 at 8 p.m. on FOX. WATCH TOO. Blizzard conditions couldn’t stop the cast of Jessica Jones from making their way to the red carpet for their second season premiere. And the top topic of the night was hot enough to keep everyone warm! Watch to find out what Krysten Ritter, Eka Darville and J.R. Ramirez had to say about women empowerment. Catch the entire second season of Jessica Jones, now on Netflix. GAL APPROVED: TV Show To Watch This Weekend – 666 Park Avenue; Perfectly Fitted Bra and Hot Gum! What To Watch This Weekend: To All The Boys I’ve Loved Before on Netflix! GAL APPROVED Weekend Edition: and Political Animals!